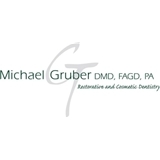 Michael Gruber, DMD PA (Parsippany) - Book Appointment Online! Very good! Dr. Gruber is very friendly and definitely cares about her patients.